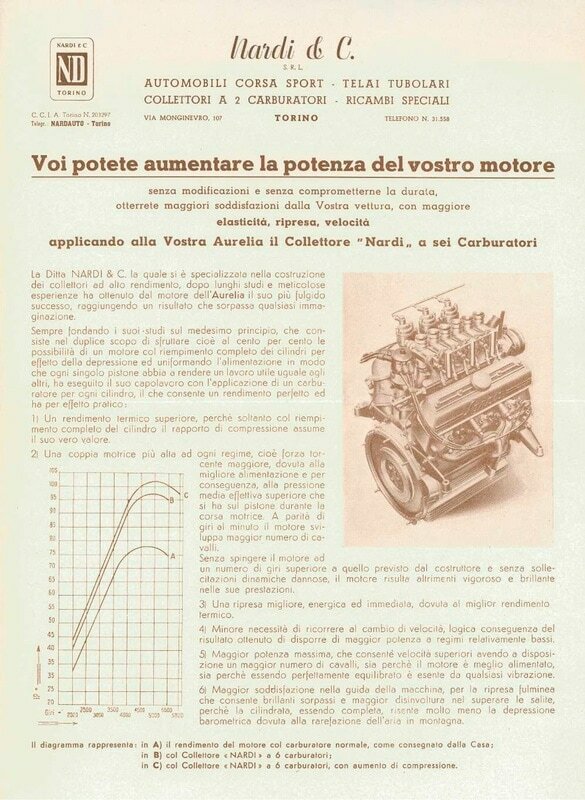 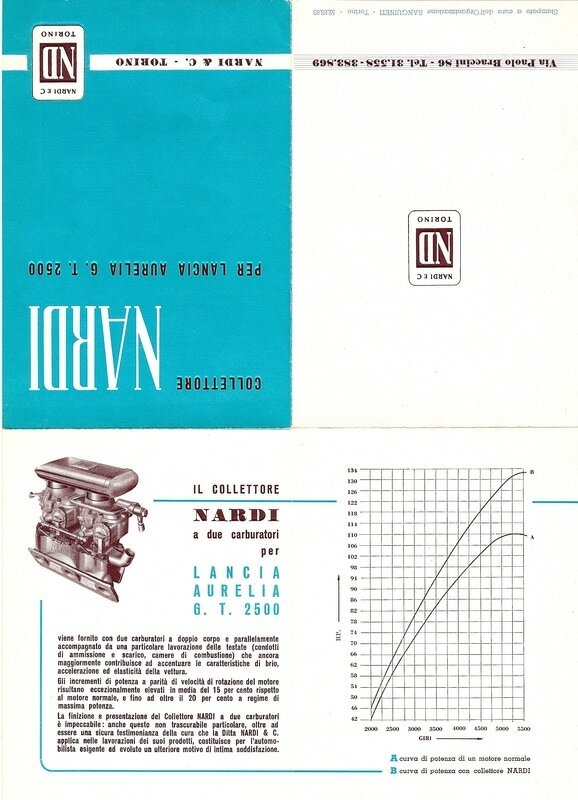 Almost immediately after the Aurelia introduction, Enrico Nardi, a specialist tuner with a small shop near the factory, started making improvements to the motor. For the early Aurelias, Nardi’s revisions focused on installing two carburetors instead of the single that came with the car. He tried another configuration shortly thereafter, with six single-barrel Dell’Orto carburetors. 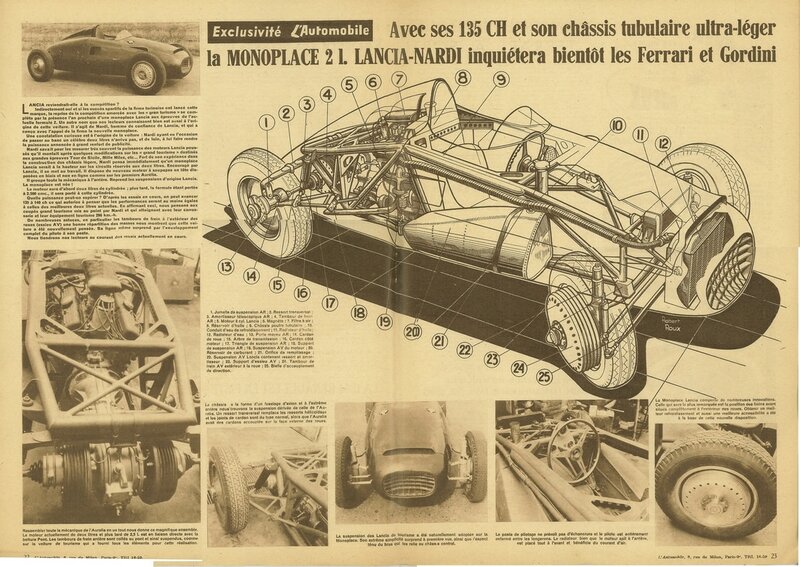 He made setups for the 2-liter motors in the B21 and B22, and then yet another for the later 2.5-liter engines. 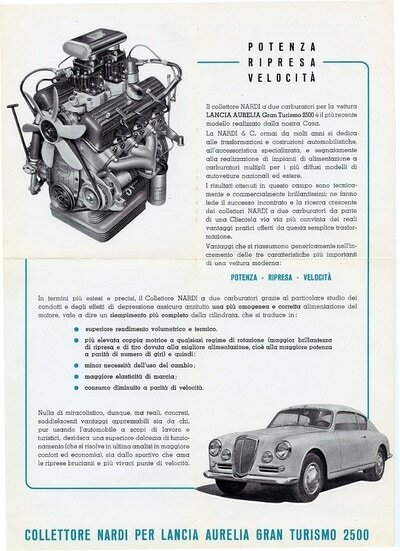 This latter kit was more widely known with its two twin-barreled Webers. Produced in the mid-1950s, this two-carburetor performance kit included new inlet manifolds, a cast-aluminum air cleaner, and a new radiator “Y” pipe. 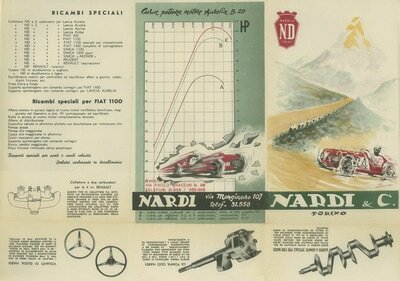 Nardi offered his own camshaft for the Aurelia, even replacing the factory’s column gearshift with a floor-mounted one. He then expanded into supplying wooden steering wheels for Aurelias and other cars, and at one point, offered studded tires for sale. 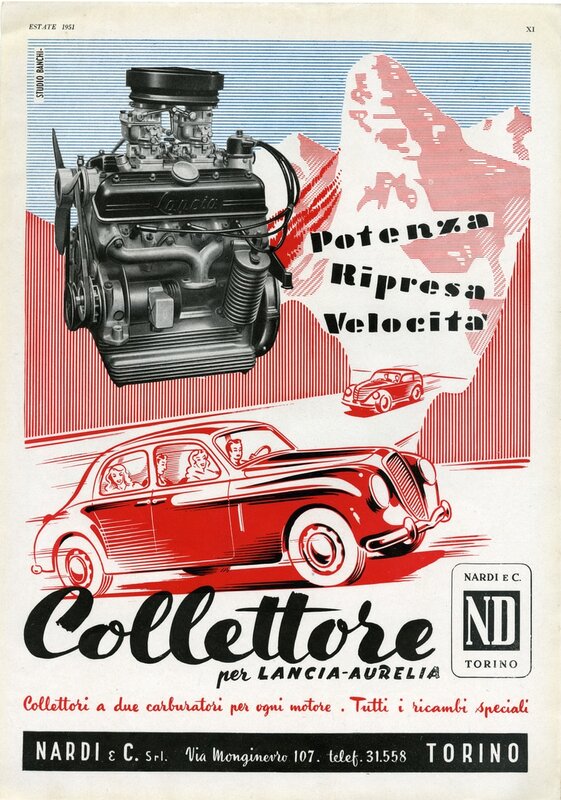 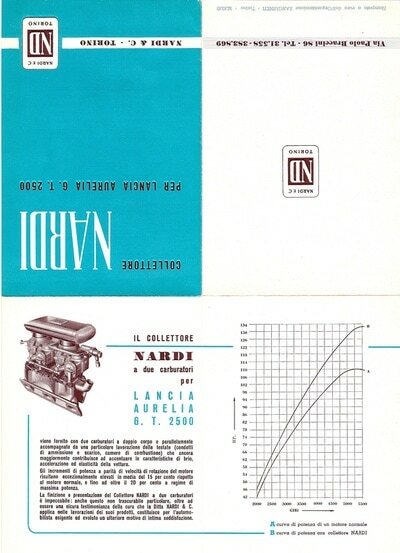 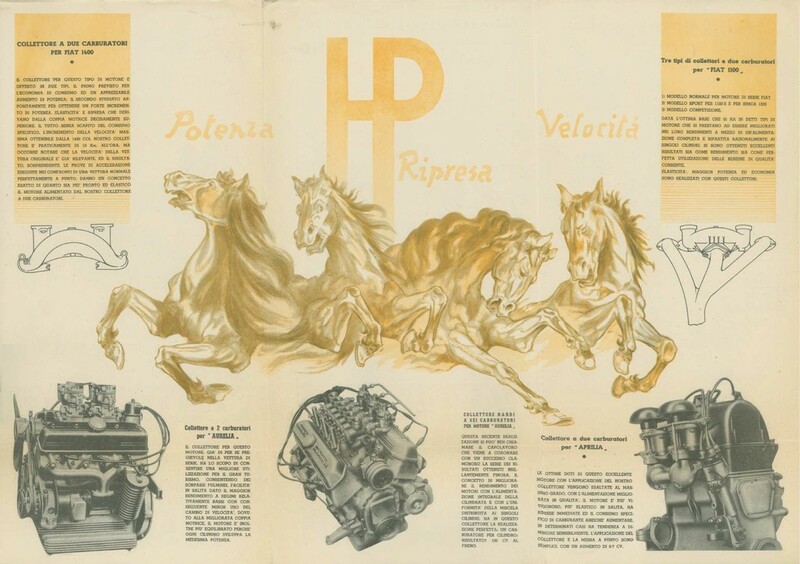 While other tuners, such as Abarth and Italmeccanica, also offered motor improvements, Nardi was the one most closely aligned with the factory.